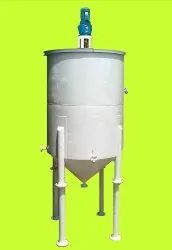 Our product range includes a wide range of oil neutralizer tank. Mohit International provides a range of superior quality Oil Neutralizers which are used for refining various vegetable oils in batch type units. Oil is neutralized Machine in the neutralizer to remove the Free Fatty Acids (FFA) by adding caustic soda. Oil is heated upto about 60°C by Steam coils and oil is stirred by stirrer. Then soap stock formed due to chemical reaction is allowed to settle at the bottom of the neutralizer from where it is taken out into soap pan.